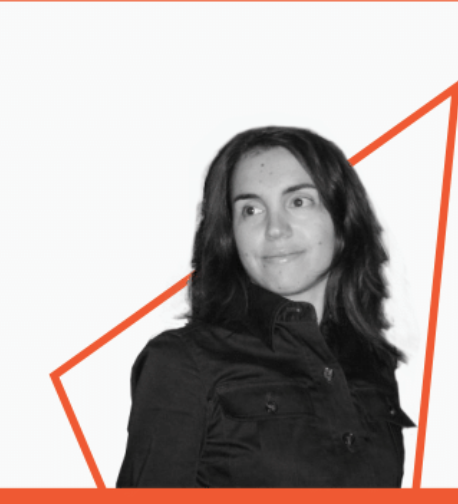 Stefanie Sendelbach is an English and Portuguese to German translator specializing in marketing and IT. 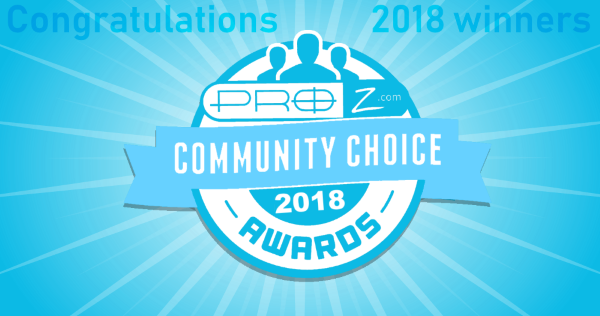 She is a long-time member of ProZ.com and a part of the Certified PRO Network. 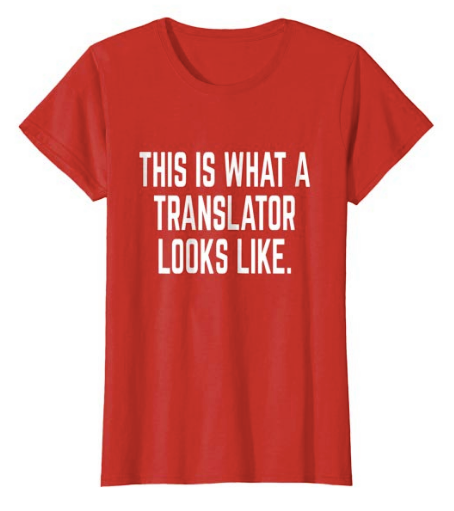 Stefanie is also the creator of Tees for Translators, which showcases t-shirts designed with the translator, interpreter and language lover in mind. Tell me about yourself as a translator. How did you get started? What are your main areas of specialization? 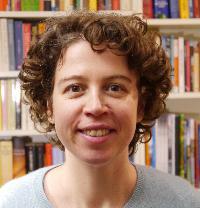 I have an MA in Translation Studies from FTSK Germersheim, Germany, and I have been working as an independent translator for English-German and Portuguese-German since 2003, the same year I became a ProZ.com member. 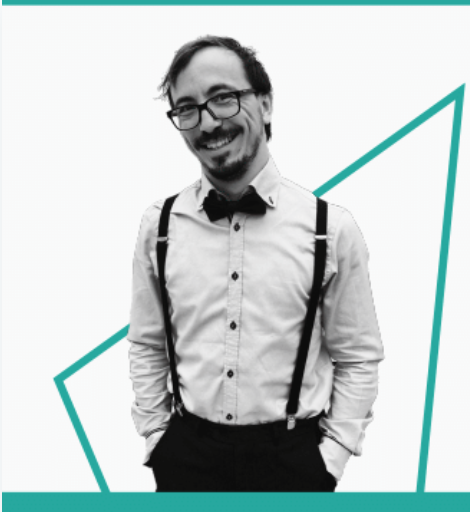 I specialize in translating technical contents such as user manuals for audio systems, cars, IT hardware, cameras, and all kinds of household appliances. 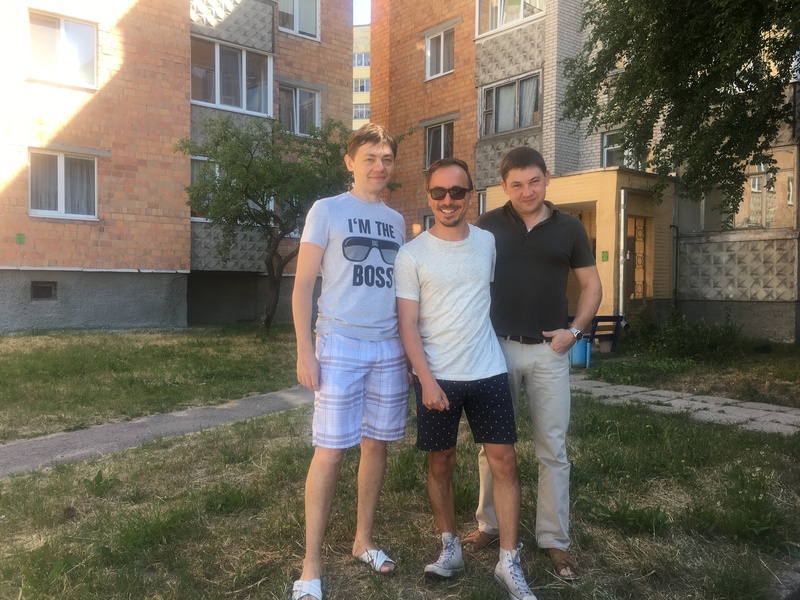 Besides dealing with such texts that demand accuracy, rationality, and consistency, I also enjoy the creative spark of marketing and transcreation projects as well as website and software localization. 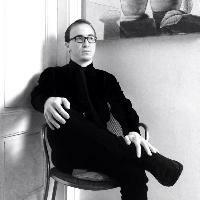 Feel free to visit my website for more information about me and my background. 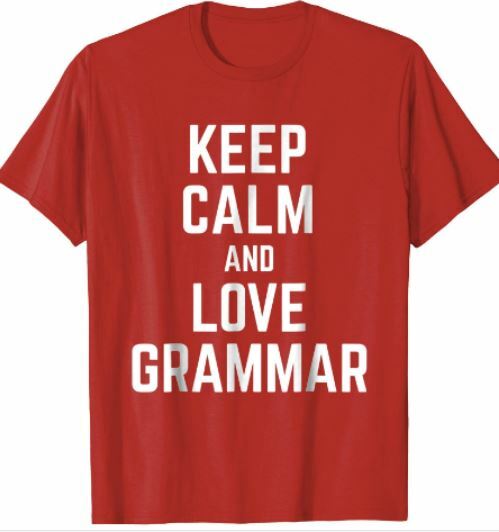 What got you started with the t-shirt designs for translators? How does your work as a translator “translate” into this activity? I often see people around me confuse the concepts of “translation” and “interpretation”. 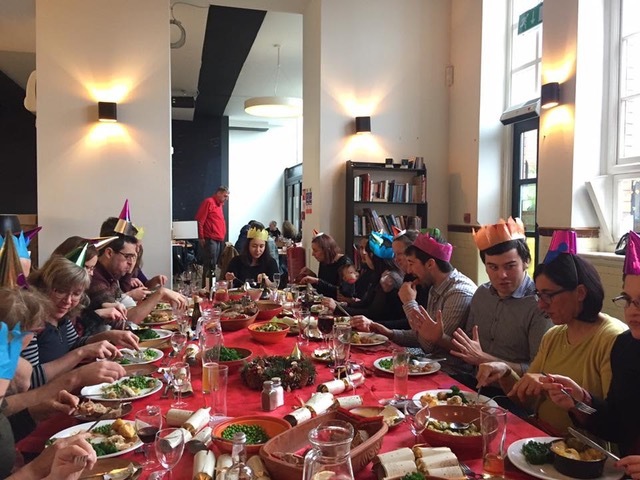 In fact, this happens throughout all the cultures and languages I am involved in, i.e. English, German, and Portuguese. So I assume the problem is global, and more visibility and education are urgently needed. 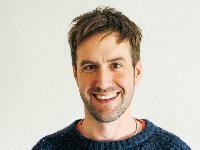 I have been a member of BDUE, a professional association of interpreters and translators in Germany, for many years, and I hail their efforts in creating awareness for our profession. 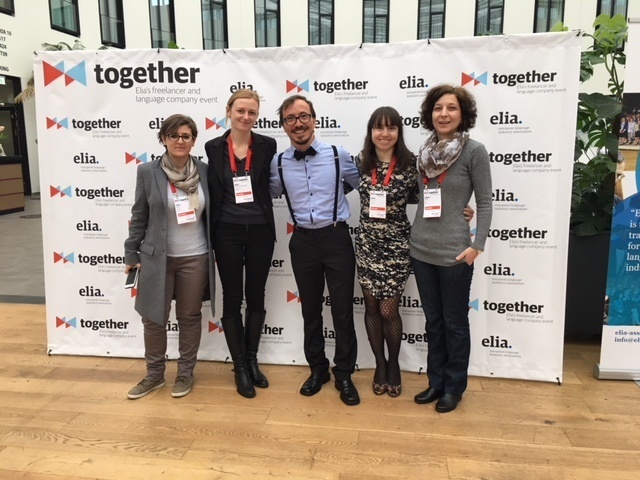 Other translator and interpreter associations around the globe do the same kind of work, and I am extremely thankful for their effort and great ideas. 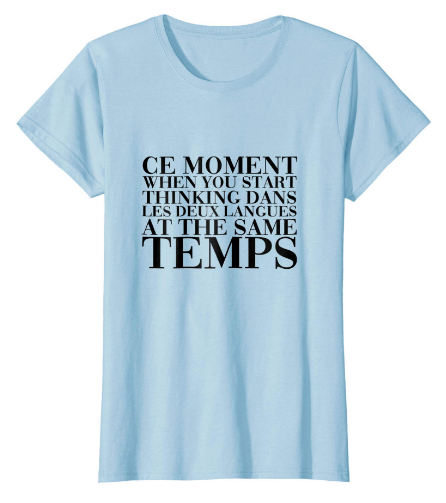 Now I am happy that I could come up with an idea of how I can use my creativity to contribute to a growing awareness and visibility of the language mediator trade: I started creating t-shirt designs related to translation, interpretation, and language-related themes. Some are serious, some are funny, but all are intended to be worn and seen by others so that we can proudly show who we are and what we do. Check out my Facebook page and my Instagram account “Tees for Translators” where you can always find my most recent designs. 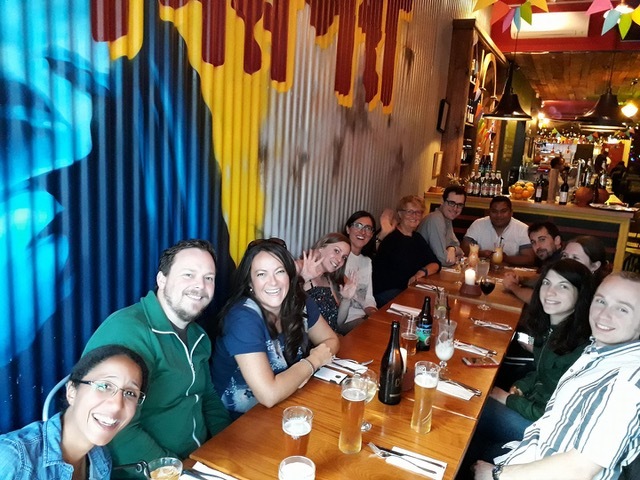 Thanks to many years of networking with colleagues and other language lovers, I could accumulate a deep understanding of the self-conception of translators, interpreters, and language nerds, as well as the many jokes and jibes regarding our trade. I hope to be able to “translate” this knowledge into fun and inspiring designs for all of us. 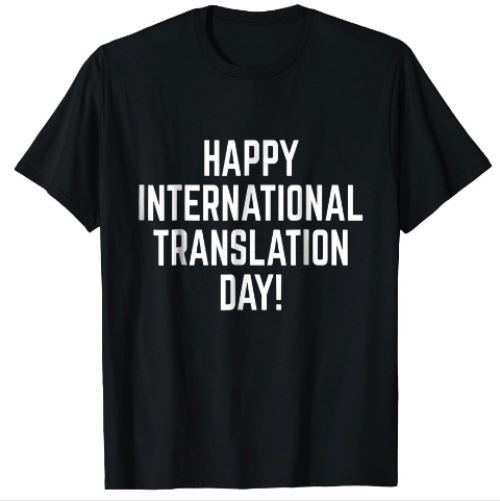 To celebrate International Translation Day, the designs are now on sale for a super discount (only for a limited time). 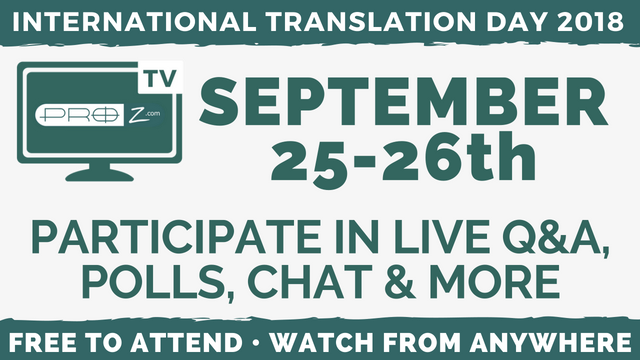 What do you plan to be doing on International Translation Day? I usually just work on International Translation Day while following some of the events happening on ProZ.com in the background. 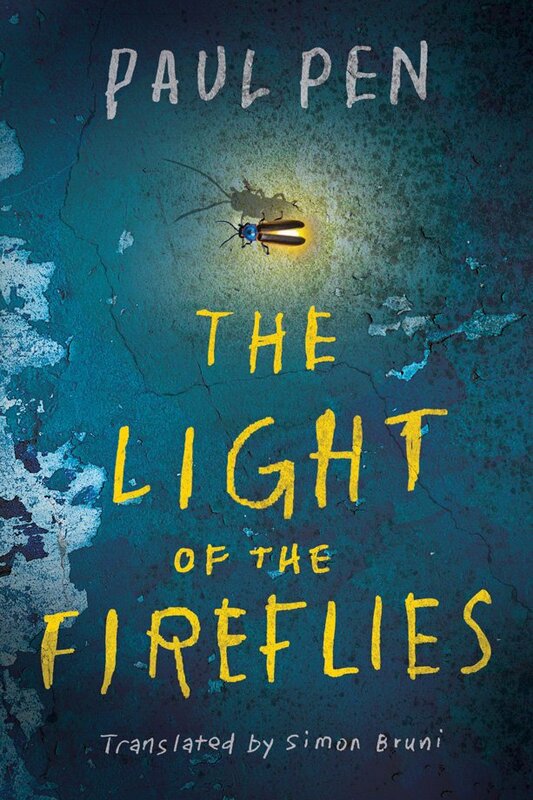 This year, September 30 falls on a Sunday, so I might actually do something else rather than translating. 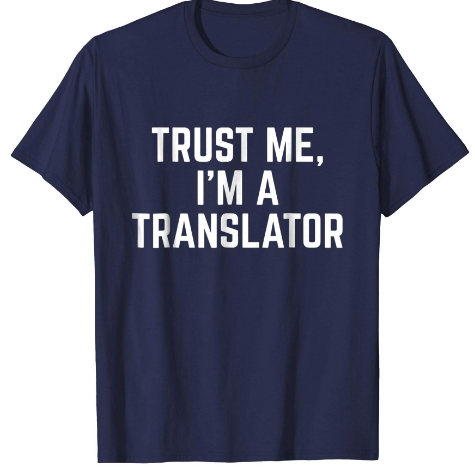 Hopefully I will be enjoying the idea of many colleagues all over the world happily sporting their new translation t-shirts and thus contributing to more visibility for our profession. Finals are set to close on October 5th, after which winners will be announced. 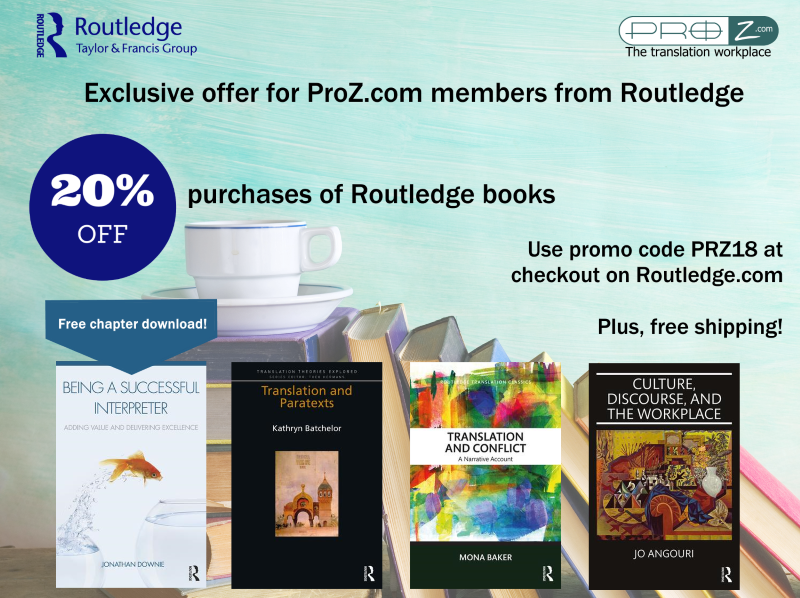 Through cooperation with the good folks at Routledge, ProZ.com members can now receive a 20% discount off their purchases of books at Routledge, along with free shipping. In addition, Routledge is offering a free chapter download from the book Being a Successful Interpreter by Jonathan Downie.